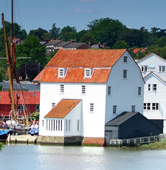 On Saturday 5th March at 7.30pm, as part of Fairtrade Fortnight 2011, we are holding a Quiz Night in St John’s Church, Woodbridge. There will be Fairtrade refreshments, a Fairtrade stall, and a lot of fun to be had, with teams of up to eight people each – organize your team in advance or just join one on the night. Tickets are only £5 each and include a free cup of Fairtrade tea or coffee. Proceeds from the night will go towards our activities, maintaining Fairtrade Town status here in Woodbridge, and also contribute towards the cost of the church’s next mission trip to Romania. Call 01394 382589 or the St John’s church office for tickets. For more details of Fairtrade Fortnight events, have a look at the Fairtrade Foundation’s pages. 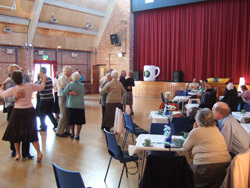 As part of the nationwide Big Brew campaign, Fairtrade for Woodbridge hosted an afternoon ballroom and latin Tea Dance on the 7th March in Woodbridge Community Hall. Sixty eight dancers waltzed, quickstepped and cha cha cha’d to a wide variety of music including Michael Buble, Frank Sinatra, Jamie Cullum and Norah Jones. Dancers were able to choose from the range of Fairtrade products available from the Traidcraft stall including chocolate, sugar, raisins, biscuits and footballs or sit down with a cup of Fairtrade tea and slice of home-made cake. Run as an event to promote Fairtrade in our town, as part of the ongoing Fairtrade Town campaign, participants said ‘it was a great success’. 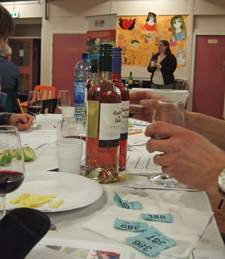 You are invited to our Fairtrade Wine Tasting evening at the Woodbridge Youth Centre on Saturday 17th April at 7pm. The tasting will be run by Jude Mullins who works for the Wine & Spirits Education Trust in London as their International Development Manager. For more details or to reserve a place please contact Caroline Rutherford on 01394 380992 or email caroline@just42.org.uk. Tickets are priced at £15 each.